You can adjust the amounts of ingredients used according to how much punch you want to use. Fill your punch bowl with Hawaiian punch, Getorade, and ginger ale. Add gummy worms, around the edges of the punch bowl (or to the individual glasses). Using gloves, add a few small pieces of dry ice to make the fog. 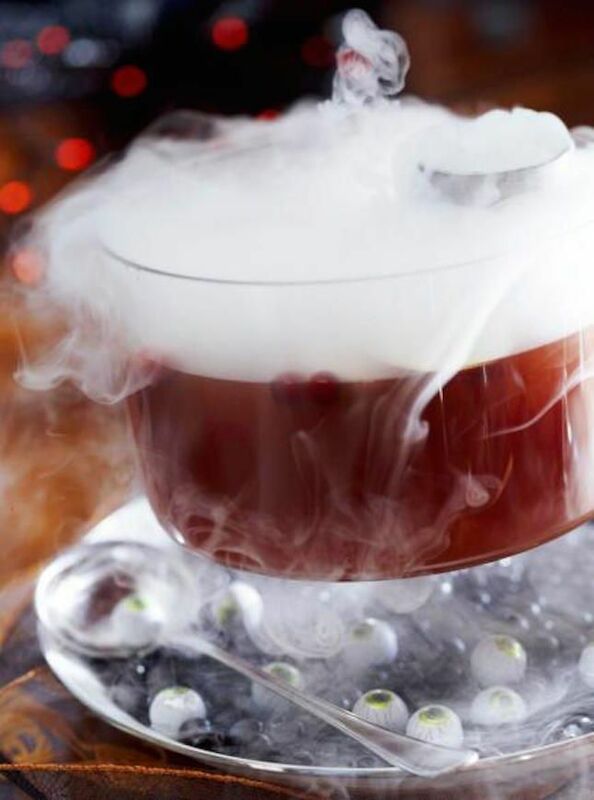 Before handling dry ice, make sure you are familiar with proper safety precautions.